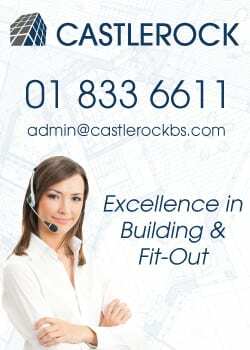 Here at Castlerock; just like many other organisations, we have incorporated ‘green’ building standards and concepts into the construction of many facilities and new buildings we have been involved with. Many are are at the highest environmental certification level. We are proud to have the experience and capacity to work in conjunction with our clients and the design teams to move towards any organisations green goals when it comes to projects at their property or facility. To us, Green Building is fundamentally a process of continual improvement through the design, planning, construction and operations practices of what we do. 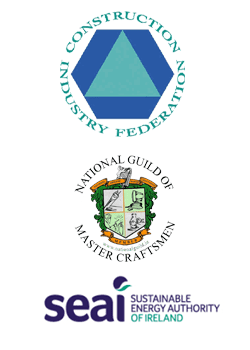 We are conscious of the environmental footprint of the built environment in all aspects of our activities, over the lifetime of the building, not just at construction and refurbishment stage. We are committed to the overall objectives of reducing energy and water consumption, lowering Carbon Dioxide emissions and waste, while achieving measurable goals in terms of reducing maintenance costs and higher levels of occupant satisfaction. Best practice is standard practice at Castlerock and the process of Green Building flows throughout the life-cycle of all our projects. We have the knowledge and experience to source suitable materials and subcontractors, and we have procedures for record-keeping to provide compliance. For us and our clients, ‘sustainability’ means working on projects that are environmentally responsible, healthful, equitable and profitable. To talk to us about our Environmental policies or to discuss how we can help your project achieve its ‘Green’ potential simply give us a call.